Professional PC Consultant, Researcher, & avid people watcher, Peggy Ann Rowe started into her genealogical quest at age 15 after watching the mini-series, "Roots" with her parents. This new obsession has fueled her love of history, & study of cultures & societies in every epoch. Today she is 57 years old with four kids who are all grown up (& all have flown the coop). In between her 'gigs' with clients she volunteered at many different non-profits. 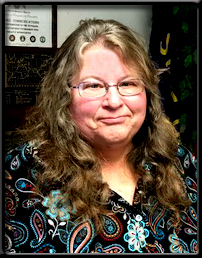 Former President, Secretary, and Director at Large on the board of the Douglas County Historical Society for 10+ years, and former Secretary at the Cloverdale Historical Society (Sonoma County) for nearly 10 years. This website is an attempt to share the knowledge she has gained about her family ties with others who may be interested in the same things. She does not guarantee 100% accuracy and does hope that you will send corrections. To learn more about her, click the "about" button in the page menu. Thanks! Another goal of this website is to disseminate a message (i.e. education) about domestic violence, child abuse, and all forms of sexual abuse to society at large. The message comes from real experience from the whole spectrum of the violence from sexual abuse by a perpetrator to sexual abuse perpetrated by a husband, to the abuse of children within the family. Peggy has seen it, lived it, and been hurt by it. There will on occasion be details that might be hard for some people to read, and a warning is usually posted at the beginning of the essay so that those who want to turn and not read may do so. The only way to teach and to let others learn what to avoid is to SHARE what happened with every detail necessary to make the point. Thank you. This entry was posted in Culture, General News, History, Memorials & Dedications, Political Crap, Uncategorized, Womens Rights. Bookmark the permalink.